I'm a nursing student. How do I start learning anatomy? This page will give you a few tips to get started as a nursing student. At Kenhub, we believe in learning through repetition and combining different tools to achieve the most efficient studying process. We combine the atlas illustrations with articles, as well as offer video tutorials and intuitive and personalized quizzes. As a nursing student, you have to tackle tons of subjects such as physiology, pharmacology and, of course, anatomy. It is one of the most fundamental topics to cover. With a sound knowledge of anatomy, you'll understand your patients' diagnoses and conditions. You will then be able to provide the best care and help them to recover. These tips and strategies can help you not only with learning anatomy effectively, but with pretty much all subjects you'll need to learn in nursing school. First of all, take a look at this video on how to structure your anatomy studies. Here you can find an interesting article about how to avoid the common pitfalls. You didn't take Latin in school? Don't worry! Take a look at this video and you will find some tips on how to pronounce the anatomical terms. Maybe it's more your style to tackle the learning together with a bunch of classmates? Check out the pros and cons of learning in a group. In this video, you will learn the alphabet of communication with your peers. Either when in Nursing school or when you are in the ward working with patients, colleagues and doctors. Nurses need to access and describe the ability of their patients to move joints or limbs. Either in the first clinical examination or noting improvements when they recover. Learn here how to name and recognize any type of movement. If you want to examine a patient or apply treatment, you also need to know the surface anatomy of the body. In this video, you'll learn about important bony and muscular landmarks of the female surface anatomy. In this video, we describe important regions and landmarks of the male body that are clinically important to a future nurse. So now that we covered the ABCs of how to learn, and the main Lego blocks of anatomy, it's time to get serious. But don't worry! We've got you covered. As a nursing student, you'll need to cover all these topics in great detail. We created a list for you and organized it as a path. However, each nursing school follows a different syllabus, so you can always jump to the topics that you need to focus on. Let's start with the Upper extremity. Injuries of the shoulder and arm are one of the most commonly seen injuries in everyday patient care. 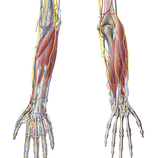 Learn everything about the muscles, bones and neurovasculature here in order to help treating your patients right. Ever had a broken leg? Fractures and tendon injuries of the leg, knee and foot are commonly seen and treated by nurses. 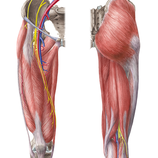 Here you can learn the anatomy from the hip all the way to the toes. Upper and lower limbs: check! Let's continue on learning about the trunk wall. The trunk wall encloses and protects a lot of important organs. Reason enough to have a close look at the bones, muscles and neurovasculature that define the boundaries of the thorax and abdomen. Further up the head and neck region is really complex but contains some of the most fascinating functions of the human body. Knowing these structures by heart will help you to easily access and describe vital functions of your patients and also know how to help them to recover from severe injuries. 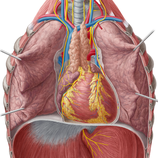 Let’s now dive into the inside of the human body and learn about the internal organs. Impairments of the heart and the lungs can easily lead to life-threatening conditions. Learning these will help you to be prepared in cases of emergency and also in caring for patients with chronic disorders. 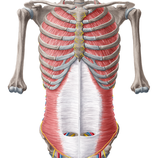 Let’s go further down and take a look at the internal organs of the abdomen and pelvis. 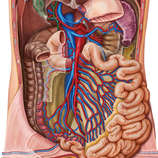 Learn in detail about the anatomy and function of the abdominal and pelvic organs. This can let you help surgical patients to a speedy recovery. Almost there! 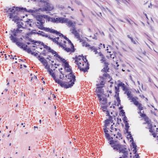 Time to have a close look at one of the most complex organs in our bodies. It is the control centre of all vital functions and helps all structures to be active: the brain. 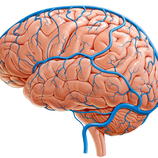 Brain injuries, like strokes, have a huge impact on a patient's life. Learn more about these structures to understand how you can provide the best patient care possible. Last, but definitely not least, you are now ready to dive even deeper, to a microscopic level. 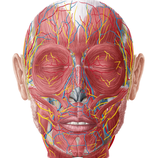 Explore the tissues and cells of all the structures of the body. This is the basis for understanding pathologies and how drugs work in our body.